On realizing that his little sister was very disappointed for not being able to go to see her grandfather’s play due to the law and order situation, her brother offers to enact a play with the support of his best friend- a play that leads to a terrible tragedy. Years later, now an accomplished film maker, when the brother returns to his native town on hearing the news of the death of his best friend who was gunned to death by the police as a dreaded terrorist, he is stunned to find out that the death of his best friend was all linked to that fateful day the play was enacted in their innocent childhood. busy you were, of course! the micro realities of existence! oh – to hide the glimmer! the river used to speak. more the time remains still. more the things remain the same. Raj was just one of the many frustrated ex-terrorist who has become dissolute with life and looked for his solace in the bottle. 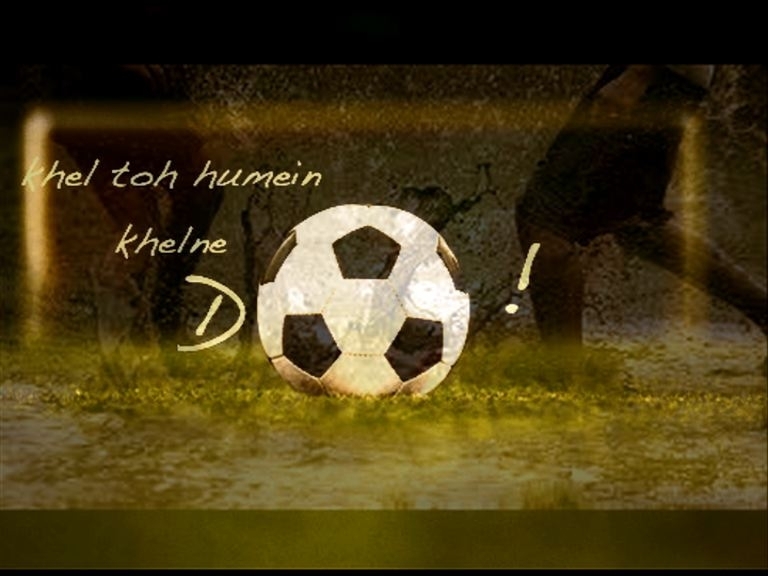 Things would have continued the same way had it not been for the school teacher Mr. Bhattacharya, who reignited a dream which Raj had long given up – that of having a world class football club…this time as a coach and organizer! And using his goodwill, Mr. Bhattacharya even managed to organize an exhibition match between one of the top football team of the region with their football club – ‘Rising Star’! When Raj approached his ex-colleagues in their hide out, they knew that he is struggling with money to keep Rising Star afloat and will be forced to seek their help for a bail out. But there is this bizarre request: for self styled ‘Major’ -Joel, and cadet- Raikom, to play for Rising Star in the exhibition match!! Raj is adamant -he had played & seen enough football in his life to know the capabilities of Joel, the centre forward & Raikom, the goal keeper. Next day, after a long search, Mr. Bhattacharya finds Raj sleeping outside the local wine brewing joint. But Raj’s hangover is taken care of by what he has to say. Rising Star XI lost the match alright, but the young team managed to win quite a few hearts – and they are being invited in the neighboring town as a wild card entrant to play in the qualifying tournament for the prestigious national league!! The 1980’s Assam…the burning Assam…. not the best place for love… more so, if the people involved are from two different communities: Assamese and Bengali. Raktim Phukan. A popular young singer. Also active with the student agitation. Anamika Banerjee. A young girl and also a popular singer, from a different part of the state. Time – the greatest leveler! In the twist of time, Raktim ends up marrying a Bengali girl. And Anamika marries an Assamese boy… but not each other… They are married to Mayuri and Madhurjya, respectively. Or, do they actually remain the same? Mr Arindam Kashyap is heading the Atomic Minerals Division (AMD) of the Atomic Energy Commission, situated at Shillong, capital of Meghalaya.Professionally, Mr Kashyap’s last few months before retirements would have been happier had it not been for the local rock star and environmentalist Danny Lyngdoh. Contemporary to Mr Kashyap in age, Danny Lyngdoh somehow seem to have developed an intense disliking towards him and his work…. Arunav Sharma. Photo journalist by profession. Explorer by choice. In his late 30s. Based in Shillong. Pubalim, who knows him for some time, requested him to join the expedition to possibly the longest natural cave system in the south east Asia – the Krem Umlawan cave system. The cave system has a surveyed length of almost 56 kms, with a possibility of extending to even more. Arunav was the part of previous couple of expedition to survey the cave – hence it was natural for Pubalim to expect him to lead the group. Was it an earthquake? Or was it something else?? One can be sure only when one goes out to the surface. So what is the way out? Definitely the option of returning the same way is ruled out…The only option is to move ahead. 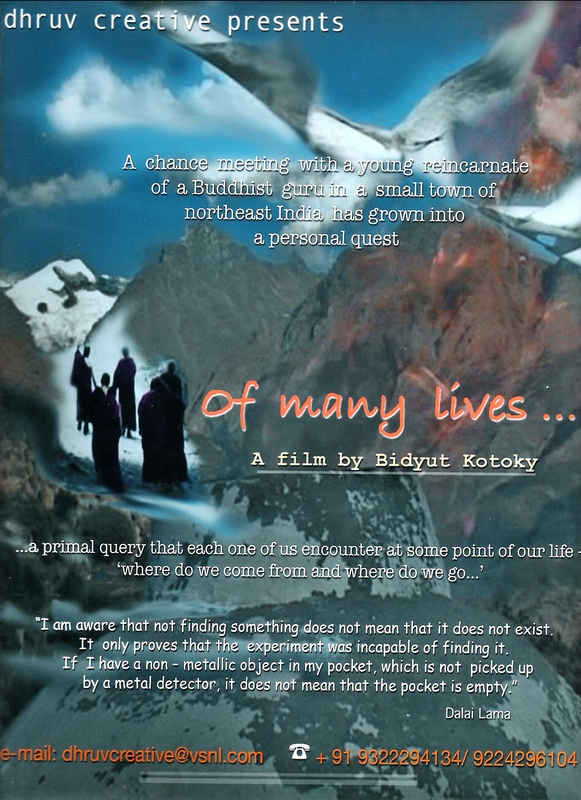 The film is in the form of an exploratory travelogue- on a subject which fascinates many of us, but about which a very little is known to the people outside the Buddhist world – the concept of reincarnation. A chance meeting with a young incarnate in 1998, has grown into a full blown quest woven with stunning landscapes, age old monasteries, intricate rituals and surprising revelations. An inside view into an integral Buddhist philosophy that few discuss. This film traverses centuries, beliefs and regions of India to unravel the mysteries of Buddhist reincarnation. it is heartening to see your past and ongoing work, i am still in the process of seeing them and hope to finish seeing them all soon. it is absolutely refreshing to get away from ‘mainstream’ content! best wishes to you. sir . first of all salute to you for your memorable work s. I have got to know you later after seeing your movie _ ekhon nedekha nodir hipare. truly speaking i was not expected that much that up to what level you have done the work. I am student of film studies and i was so sad to seeing the scenario of assamese film industry in past days . but you have really rocked with your path breaking work for the industry….an year ago i was went to majuli for a documentary on Ash alchohol…then i was also felt that if someone will appear to visualise this island with the mainstream hindi movie…suddenly we got you…my sincere thanks to you…wish, you will do some more for this industry…regards–DEBOJEET. Thank you so much, Debojeet! Bidyut sir mai Aimt r student……apunar cinema 1st townclubr hall alopman salu….apuni cinema khanar khata amak kaisil…………….tar piassat amar college aimt apuni adin ahisil tato log palu cinema khanor khata aru bhal ka gom palu……………suwar krana monot bor happa .rels dia date joni dibo…………….apunar cinema khan super hit hobo…………………….story iman dhunia………..apunar movie safal hoak tara komanara………………………………best of luck from Bikram barpeta. Thanks Bikram…will keep you posted about the film through this blog. Dada, Youtube’t aponar movie khonor kisu ankha salo … val lagile… Axom’t sabikhon mukti dibane….????? ami sab parimne?? moi Tezpur university’r pora koiso … Ami Tezpur University movie club’r hoi sabi khonor eta pradarkhani’r babe (university pekhyagrih’t ) aponak anurodh karib parone….Iyar agote Jaymoti (ntunkhon) sabikhon Pradarkhit hoisil University pekhyagrihat…Akhakaro aponar pora uttar pam…..
Thanks… about the release of the film, will keep you posted through this blog. You can also join our film’s group on facebook. Bidyut da when is ur movie releasing? aapunar movie khon safal houk…ishwar or usarat kamona thakil….